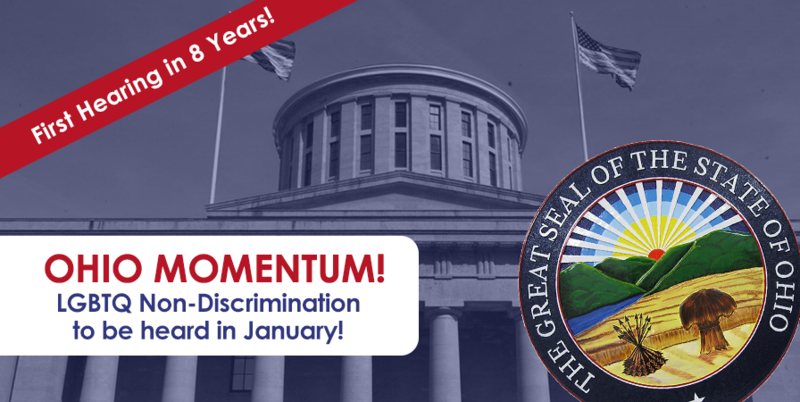 In a signal of growing momentum for LGBTQ non-discrimination nationwide, legislators in Ohio will hold a hearing on proactive legislation to end anti-LGBTQ discrimination in the first few weeks of 2018. This will mark the first time that proactive legislation for equal treatment will have a hearing in Ohio in nearly eight years. The bill is House Bill 160, also known as the Ohio Fairness Act. Introduced in 2017, the bill is supported by both Equality Ohio, the state’s leading group promoting fairness and non-discrimination for LGBTQ people throughout the Buckeye State, as well as Ohio Business Competes, a coalition of more than 200 businesses who have signed a pledge supporting the need for protections for LGBTQ people in housing, employment, and public accommodations. Earlier in 2017, OhioHealth also joined the coalition, lending their weight to the fight for non-discrimination laws. Ohio is one of 28 states that lack any statewide protections for LGBTQ people. So far, 19 cities throughout the state have passed their own comprehensive non-discrimination laws, including the state’s capital of Columbus.